Grandinetti, Kelly B. - Groelle & Salmon P.A. 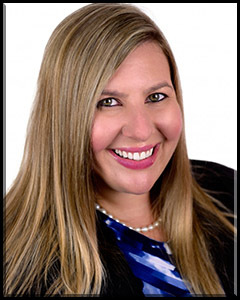 Kelly Grandinetti is a partner managing a team in the firm’s first party property division. Mrs. Grandinetti has a wide range of experience in litigating insurance matters including: residential and commercial losses, hurricane related storm damage to both residential and commercial properties; water damage to both residential and commercial properties; and fire damage to residential properties. Prior to coming to Groelle & Salmon, Mrs. Grandinetti served as a Judicial Intern at the Seventeenth Judicial Circuit Court of Florida under Judge Michael A. Robinson. While at the Court, Mrs. Grandinetti worked on a wide array of matters, including assisting with drafting judicial opinions and orders. While studying at St. Thomas University School of Law, Mrs. Grandinetti served as the Vice Justice of the International Law Fraternity, Phi Alpha Delta, Mentschikoff Chapter. She also received the Outstanding Writing Competition Award for Encyclopedia Publication in 2011, and was on the Deans List in both the Fall and Spring of 2011.